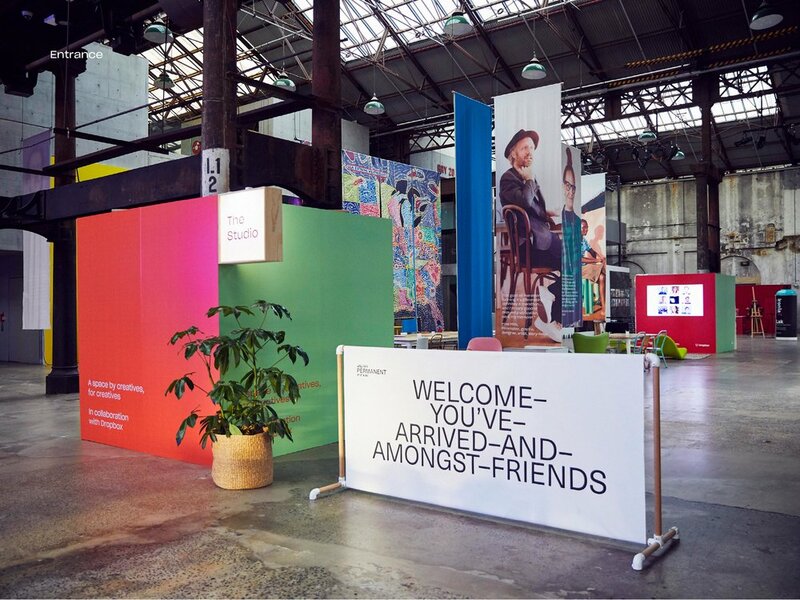 For Semi Permanent 2018 we collaborated with Dropbox and the SP team to create 'The Studio'. The idea was to provide a welcoming lounge space where people could meet, catch up or collaborate. To achieve an open, gallery-like atmosphere, we set up exhibition walls and large-scale banners which hung from the ceiling. These banners featured the artworks and profiles of various artists and were printed on a responsibly sourced, organic hemp/cotton fabric to reduce environmental impact. We were involved with the project from start to finish. Providing everything from event signage direction through to design, print, management, installation and pack down.